Since its inception 50 years ago, Oriflame has been inspired by Swedish nature. With the relaunch of the Optimals range, we present a new anti-aging line: Age Revive. This line acts on multiple signs of aging thanks to its combination of natural Swedish ingredients. Want to know more? Read the interview with the Face Care Specialist, Melina Galeadi. WHAT IS THE CHOICE OF SWEDISH NATURAL INGREDIENTS IN THE OPTIMALS RANGE? Creating nature-inspired products and environmental friends is part of our heritage. Over the decades, we have gathered deep insights into natural ingredients and their benefits – so it makes sense that Swedish nature is the inspiration behind the products of the new Optimals range. Each extract has been carefully selected by Oriflame scientists in order to create solutions for specific skin needs. HOW WELL ARE SWEDISH INGREDIENTS INSPIRED? Some of the world’s toughest plants are found in Sweden. Tested by the harsh climate, these plants can survive temperature changes between -20 ° C and + 30 ° C. These are extreme conditions for flora. To survive negative temperatures, plants must have the ability to preserve their nutrients, which results in plants with rich concentrations of antioxidants, vitamins and essential oils – components present in the extracts selected for this range. 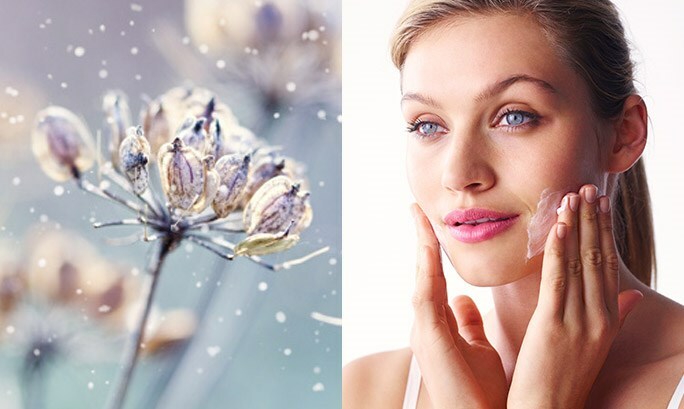 In addition to other base ingredients found in face care products, the Age Revive range combines 11 natural ingredients present in Swedish nature: White birch, Blackcurrant, Sea buckthorn, Flaxseed oil, Blackberry, Indian Chestnut , Blackcurrant, Raspberry, Juniper, Oats and Red Clover. These ingredients are combined to create products with effective formulas for the Age Revive line; They were all carefully selected to help achieve beautiful and younger skin. Some ingredients have nutritional and moisturizing properties, which helps care for the skin, while others improve the signs of aging, such as fine lines, dark spots and dull skin. TELL US ABOUT AGE REVIVE PRODUCTS! Age Revive’s goal is to provide a simple but effective anti-aging solution, which has created a line that addresses multiple signs of aging. To make this possible, we had to make sure that the effective Age Revive formulas met the specific needs of the skin. It is for this reason that using the complete routine, with all the products of the line, is so important. • The cleaning and toner remove impurities night and morning dead skin cells. • Eye cream helps to stimulate microcirculation to minimize dark circles and fine lines. • Serum gives the first level of hydration. By including Hyaluronic Acid, this serum helps retain moisture in the skin. • Day cream has a firming active that minimizes fine lines and wrinkles, plus it has an antioxidant active that helps protect the skin throughout the day. • Night cream nourishes and repairs skin during rest period.